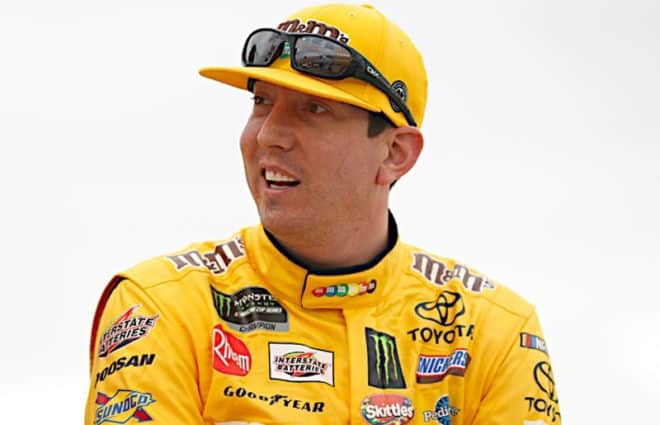 When NASCAR driver Aaron Fike appeared in court this week for a plea hearing on drug charges stemming from a July arrest, it was the most recent chapter in a story that has been repeated in NASCAR over the past few years. 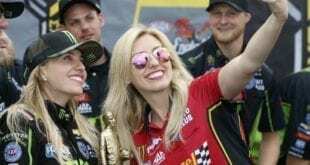 The only real difference was that the 24-year-old Fike was caught in a public place, while Shane Hmiel and Kevin Grubb were caught at the track and their transgressions were handled by NASCAR. 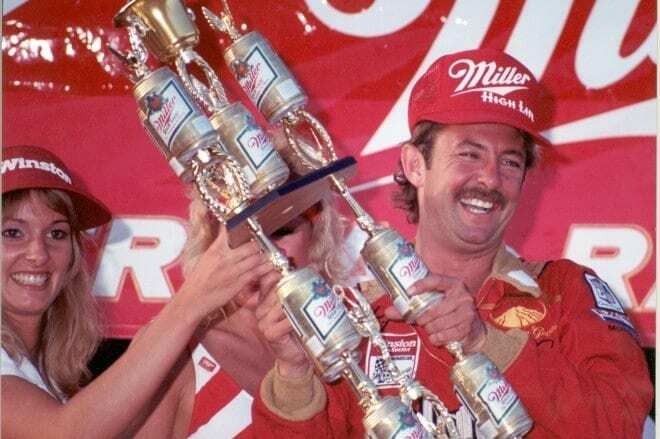 But unfortunately, the similarities still glare-three young, up-and-coming race drivers who somehow let substance abuse get in the way of promising careers. And while the drugs are just one item on a long list of temptations for young men living on their own, traveling all over the country, with money to burn and questions to spare. Does my girlfriend/new group of friends want me for me or my career? What if it was over tomorrow? What if I can't do the job? Will I lose my ride? How can I get rid of this pressure? There are more questions than answers for these young drivers, and it must be awfully enticing to inhale or ingest a substance that makes those questions go away for a little while. It's not a wise choice, but it's available and easy. And at least in part, NASCAR is to blame. Curtis Turner started out driving well before he was old enough to get a driver's license. He hailed from the area of Bent Mountain, Virginia, and as with many who lived in remote regions of the South during this era, Turner worked to export the local product: Moonshine. He became as big of a legend running illegal liquor as he did on the track. His ability to outrun Federal agents as well as local law enforcement earned Turner respect for his skill behind the wheel and unlike his counterpart Junior Johnson, Turner was never apprehended by the police. He ran his first race in 1946 in Mt. Airy, North Carolina. He finished last in a field of 18. In his next start, he won, beginning a legend as the best driver ever to race on dirt. Tomorrow evening, when the Craftsman Truck Series field takes the green flag for the Smith's Las Vegas 350 at Las Vegas Motor Speedway, former F1 driver Jacques Villeneuve will make his NASCAR debut in the No. 27 Toyota Tundra for Bill Davis Racing. 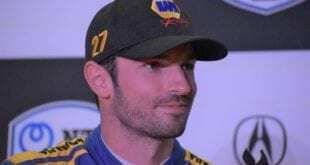 Villeneuve is scheduled to run the remaining seven races of the truck season as well as the ARCA race at Talladega in an effort to prove to NASCAR that he is worthy of a Nextel Cup ride for the 2008 season. Bill Davis, certainly inspired by Juan Pablo Montoya's relatively smooth transition to NASCAR from Formula 1, heard Villeneuve was looking for a ride and jumped at the opportunity to offer him one. What’s The Call? Should We Care About Dale Jr. Driving The No. 88? September 19, 2007 Comments Off on What’s The Call? Should We Care About Dale Jr. Driving The No. 88? _Editor's Note : The following is a special edition of Frontstretch's What's the Call? Occasionally throughout the season, two of your favorite Frontstretch writers will duke it out in a debate concerning one of NASCAR's biggest stories. Don't let us be the only ones to speak our minds, though...be sure to read both sides and let us know what you think about the situation in the comment section below!_ *Today's Question : Should We Care That Dale Earnhardt, Jr. Gets The No. 88 for 2008? 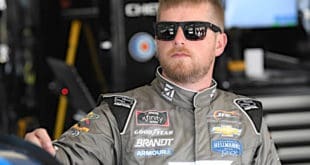 * *Yes* Mike: While the casual fan of the sport might not appreciate the significance of the number, the fans who are loyal to the Earnhardts and their family legacy will surely know the historical significance of the number. The No. 88 still gives Junior a link to his grandfather, who drove that very number in a race at Martinsville along with seven other Grand National races behind the wheel of the No. 188. It also gives his legion of fans something to hold onto. *No* Amy: Well, now it's over. Finally. Contrary to popular belief, the world didn't stop on its axis at the moment of the announcement. Knowing Junior's number and sponsor didn't solve global warming or find a cure for the common cold. Just like every other sponsor and number unveiling...it happened. Enough No. 88 Amp/National Guard T-shirts were sold to clothe a small county; that's about it. In a landmark announcement today at Texas Motor Speedway, Dale Earnhardt, Jr.'s number and sponsors were finally revealed for 2008. Mountain Dew, AMP Energy Drink, and National Guard will combine to sponsor the car next season. Looking both excited and relieved, Dale Earnhardt, Jr. praised his new business associates, claiming this is a refreshing change for him heading into next season. "I've been a big fan of Mountain Dew for a very long time," Junior said. "They have a great history, and have been a sponsor in motorsports for nearly 50 years, so it sounded like a great opportunity and a great fit for me." Fanning the Flames: Crazy Eights, Busted Tapes, And Can Kasey Relate? September 19, 2007 Comments Off on Fanning the Flames: Crazy Eights, Busted Tapes, And Can Kasey Relate? Anyone hear about a little press conference that took place yesterday in Dallas? You may not have heard much, as it only involved the sport's favorite son...plus some new friends from PepsiCo and the National Guard. There was also something about a numberâ€¦what was it, No. 88? Seriously, I think I speak for the majority of race fans out there â€” well, the die-hards, anyway â€” when I say, "Thank you for finally laying everything out on the table!" We can now refocus and move on with the rest of our lives. Not that the whole Junior storyline didn't make life easy on some of us. Got a print deadline quickly approaching? Need a topic to fill an 800-word slate? No problem! Just plug in your latest opinion on Junior vs. Stepmom, Junior and the New Number, and/or Junior and DEI's Engine Sabotage...and you're all set. 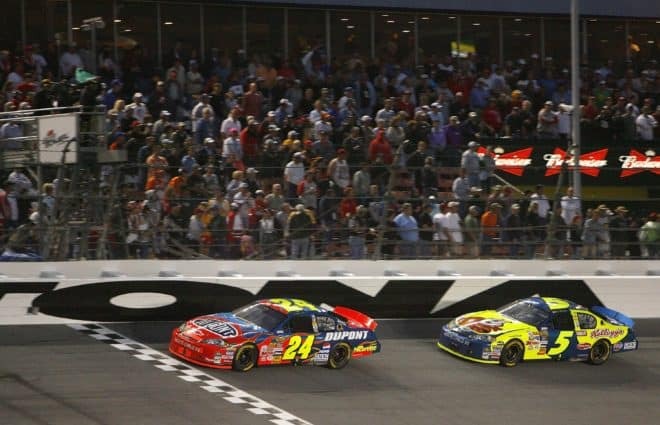 *2007 Dover "2" Driver Handicaps* *Jimmie Johnson* - Johnson won both Cup races at Dover in 2002, as well as this event in 2005. He has Top 10 finishes in seven of 11 Cup starts here - but has missed the mark the last two times out. *Jeff Gordon* - It's a tale of two tracks for Gordon. On the plus side, Gordon has won at Dover four times, collecting 18 Top 10 finishes in 29 career starts. On the minus side, Gordon has crashed out of four of the last ten Cup races here. The Chase is on! 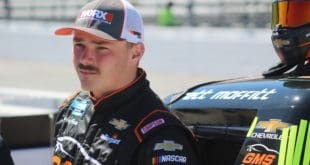 With one week officially in the books, there wasn't much movement at the top of the Nextel Cup standings; Chasers actually took home seven of the Top 10 spots at the one-mile oval up in New Hampshire. While there was one notable exception - Kurt Busch's bad carburetor cost him a lot of ground to the rest of the Chasers - the experience of previous years held true once again as the playoffs began. As the old saying goes, the cream always rises to the top, and the Chase contenders proved to be the ones most capable of running up front with the pressure of a title on the line. 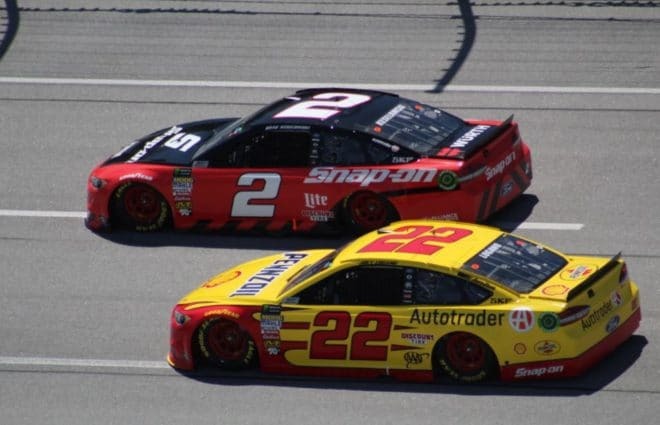 More than ever before, cars that are running for the Championship increasingly become your best bet for fantasy teams when it comes to picking cars that will finish up front; if you have any extra money under your salary cap or points in your pocket, now's the time to spend it on as many Chase drivers as you possibly can. With the playoffs moving full steam ahead towards round two this weekend, the strategy for your team shouldn't change all that much. 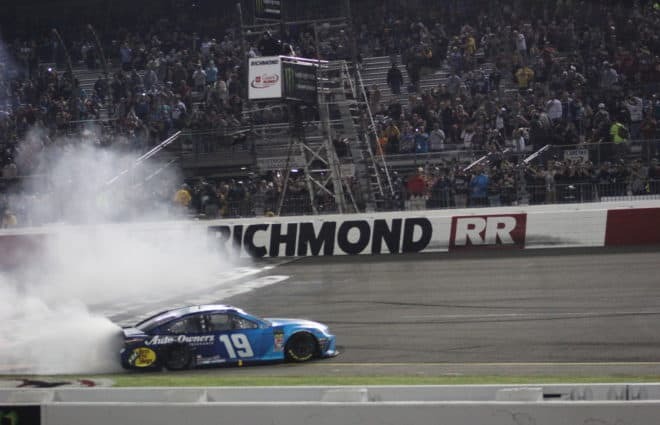 While the Monster Mile has been known to cause damage to its fair share of race cars, it usually doesn't take too much of a toll on Chase contenders. One or two will most likely take a hit, but the majority will be near the front and finish in the Top 15 or better. Which ones have that extra leg up on the rest of their playoff competition, though? Find out in this week's edition of Fantasy Picks 'N' Pans. 10. Damn, did I leave the iron turned on _again_? 9. I wonder, just how many licks _does_ it take to get to the Tootsie Roll center of a Tootsie Pop? Only two more hours left until I can find out! 8. How much longer is this race? I should _NOT_ have had that extra large soda with lunch. 7. Left, Left, Left, Left, Left... 6. Are my eyes deceiving me, or is that guy really wearing a Rush T-Shirt?